CIVIQ Smartscapes has joined The Digital Place Based Advertising Association. 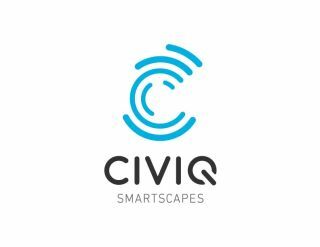 CIVIQ Smartscapes designs and manufactures interactive “smart city” communications structures that provide public information, commerce, safety and efficiency to create “smartscapes” or urban infrastructure. CIVIQ Smartscapes will install one of its first LinkNYC terminals on the streets of New York City. As part of the consortium CityBridge, CIVIQ Smartscapes designed and manufactured terminals to replace outdated telephone booths. This technology will give users free 24/7 public Wi-Fi, free phone calls anywhere in the U.S., free mobile charging stations while generating more than $500 million in revenue for the city over the first 12 years. "CIVIQ Smartscapes has hit on a vital need for cities across the world, creating street-side destinations that are tailored with services based on each community’s specific needs, while creating greatly-welcomed ancillary revenue for the municipalities themselves," said Barry Frey, president & CEO of DPAA. "We are very pleased to welcome them to our rapidly growing membership ranks." "As we stand on the cusp of increasing the overall functionality of urban landscapes and improving the lives of the people who use them, we felt it was important to gain a seat at the table by joining the DPAA and immersing ourselves in helping to chart the future of the digital place-based media industry.” Said Brian Dusho, president of DOOH. “We look forward to working closely with Barry, his team and the DPAA board on issues of importance to us all." Membership in DPAA includes admission to quarterly member events; access to an extensive database of research, best practices and case studies; tools for planning, training and forecasting; social media amplification; publication discounts; an opportunity to participate in media partnerships as well as the DPAA-Nielsen Service Bureau and DPAA-Nielsen Digital Diploma Series Training Program; insights on software and hardware solutions; further integration into the advertising ecosystem as part of the video everywhere conversation and marketing campaign.